Birth and Breastfeeding Goddess Christmas Ornaments! I am beyond excited to share these with you! We are offering birth, breastfeeding, and goddess ornaments for your holiday celebrations this year! Perfect for nursing mothers, pregnant women, doulas, midwives, as well as for goddessy women in any stage of life, these ornaments are offered in four of our classic designs and in one mini-design. Each ornament is individually hand cast in clear casting resin from our original sculptures. Their beautiful translucency gives them the appearance of being glass or crystal, while still being extremely durable and nearly damage-proof (we have four energetic kids, so our products get a lot of serious product testing to make sure they can hold up to being dropped!). Each ornament is about 3 inches tall and is $15. The mini goddesses are only an inch tall and are $6. Each is freestanding and can also sit on a mantle or table, or can grace your tree with abundance, empowerment, and bountiful blessings throughout the season! These are extremely limited edition. We will be making them by hand from November 1-December 5th only. After that, they’re gone! 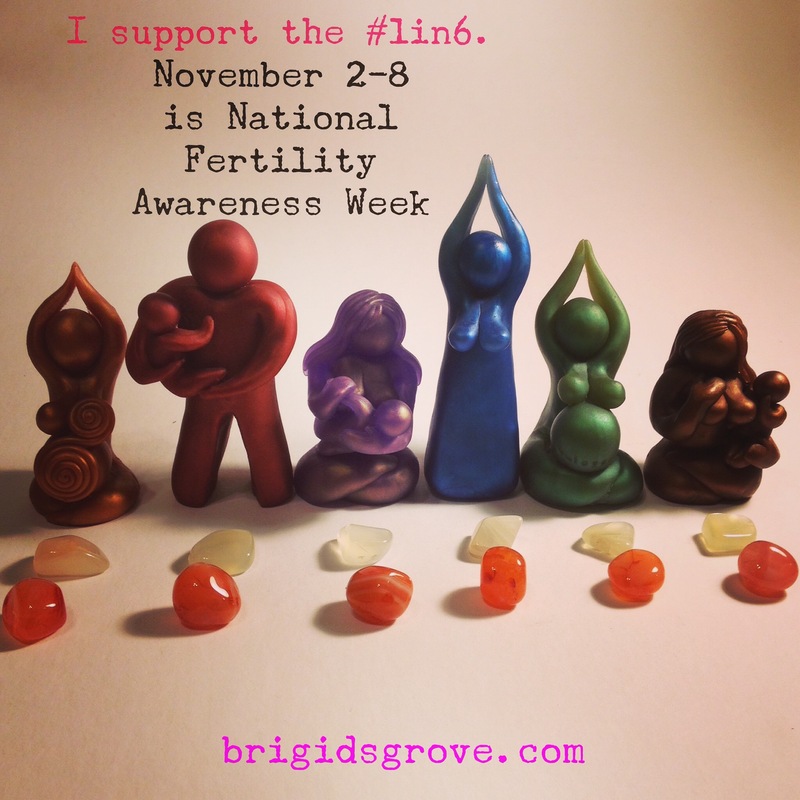 In the UK, it is National Fertility Awareness Week, bringing attention and support to the #1in6 couples who experience challenges with their fertility. As I mentioned in my 11 month update, the first year of life with a new baby feels like a journey through a labyrinth. The moments I experienced last year while pregnant take on a particularly poignancy as I round the curves of The Return, this time with baby in arms. 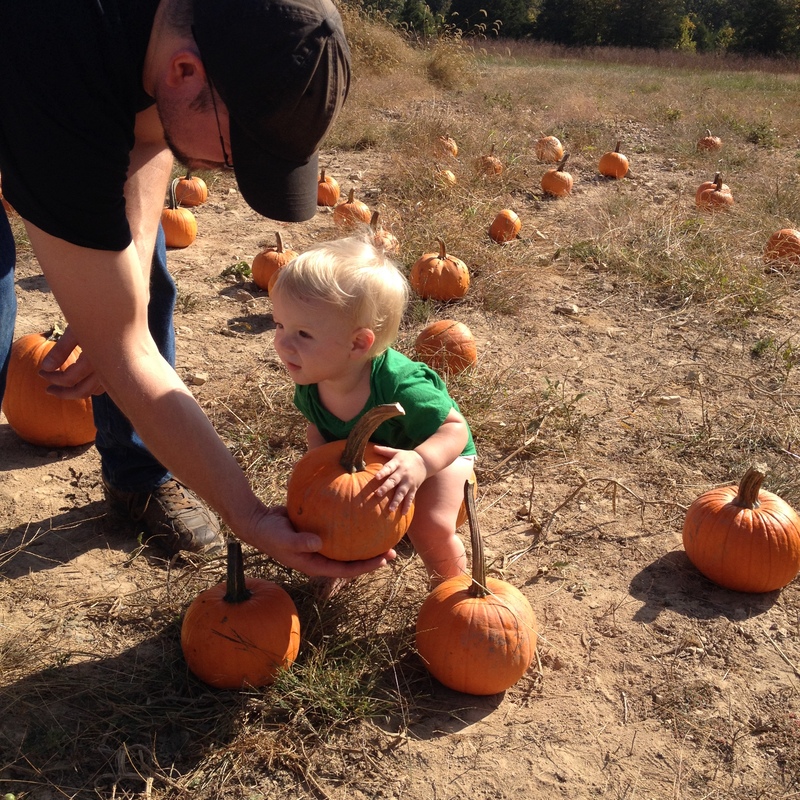 I love the moments of continuity…last year with my pregnant belly, this year at the pumpkin patch with a toddler selecting his own pumpkin. Last year getting my pregnancy photos taken and having a mother blessing, this year having some breastfeeding photos taken (note: carefully selected goddess sarong for photographic continuity!). Interestingly, this time last year I was taking online instructor trainings for Sacred Pregnancy and Sacred Postpartum. This year, quite by accident (in terms of exact timing), I ended up starting the Sacred Pregnancy Birth Journey instructor course online. I won this course in a Red Tent fundraising auction via Moon Times in the winter, but I didn’t actually take it until this month. I am 100% pleased with the re-do. Sometimes a revision is exactly the right choice! I feel like the comparison of my first attempt and my second looks like one of those side-by-side Pinterest comparisons, only both of these were from me! During this pregnancy, one of my personal philosophies has been to do stuff that I haven’t done before. This is my last chance to be pregnant (really!) and I want to make sure I leave no stones uncovered or cool stuff undone! And, that is when I had my “breakthrough” moment. My eyes were prickling with tears and I said: “I associate taking baths with being weak and wounded.” I associate baths with cleaning blood away from myself and gingerly poking around for tears in my most vulnerable tissues. I’ve been interested to note that I’ve dreamed with increasing realism about the baby for the last three nights in a row. Last night, I was getting him latched on for the first time. The night before, my mom and Mark had brought him to campus for me to nurse on my breaks from class. The night before that was a water birth dream (two actually, both about twins). To me this indicates that whatever lingering “not readiness” I might be experiencing in my waking life, my subconscious is getting it. At some level, my brain is getting down with the idea of really, truly having another baby and it is incorporating him into my dreamscape/life accordingly. I discovered in this post-ritual reflection that it is just part of my personal process to be able to say, and be vulnerable enough to have people hear, see, or read, that I think maybe I can’t do something or that I’ve said yes to too much. The answer for me is not, “then don’t” or “stop” or “quit” or “take it easy,” it is to move forward and to see, again, that I was actually enough for what scared me or felt too big or too exhausting. 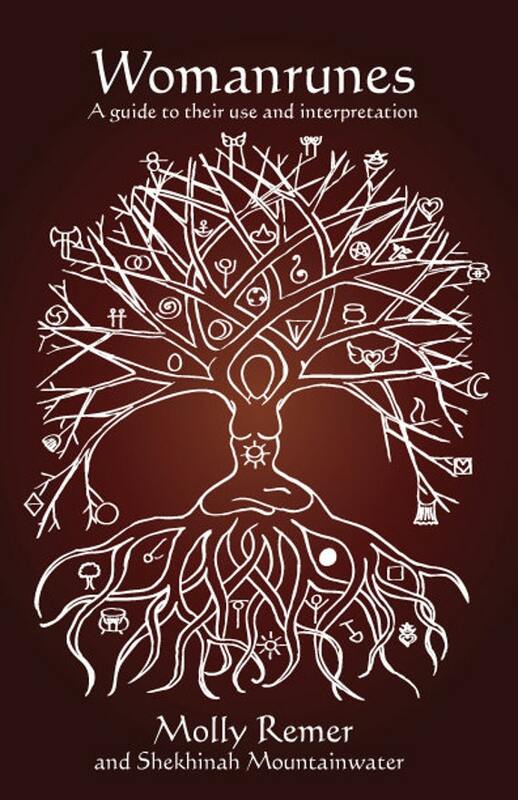 In the power of ritual, I learned (again) that life is like birth, and we give birth as we live. Special request still in progress for a friend whose family was birthed via a beautiful surrogacy experience. Chicago – June 4th, 2015 – If you’re thinking about becoming or using a surrogate, you may feel inundated with information and unsure where to start. There can often initially be a lack of understanding about the process involved and a lot of misinformation out there, too. The child is genetically-related to the surrogate. Although this can be true if the arrangement is considered to be a traditional surrogacy, with a gestational surrogacy arrangement, the embryos are created with either the intended mother’s eggs or an egg donor – never those of the surrogate. Building a family via surrogacy is only for the wealthy. Based on Family Source Consultants’ experience, many intended parents have an average income. Additionally, there are financing options available from lenders who specialize in reproductive arrangements, as well as cash discounts and payment plans. The surrogate may not give up the child. Surrogates have to already have their own children and completely understand that they are helping another family to have this child. Of course, the surrogate will care for the child and have an emotional bond, however, she is fully aware that the child is not her’s to keep. Surrogacy agencies should always work with attorneys who specialize in reproductive law and, with the correct legal procedures in place, intended parents are the legal parents of the baby. In addition, a surrogate (and her partner if applicable) must undergo a psychological evaluation prior to entering into a legal agreement with the intended parents. The surrogate needs the compensation or is poor. Many surrogates who are enrolled in Family Source Consultants’ surrogacy programs have a full-time career, are financially stable and often have a partner who has a secure, well-paid job, too. Family Source Consultants have actually worked with many surrogates who are considered to be the breadwinners of their marriage or partnership. A surrogate should never fully depend on the compensation that she receives in order to live a stable lifestyle. Financial problems or any indication that a surrogate candidate is motivated by money can be reason for disqualification. Intended parents who live in a less surrogate ‘friendly’ state cannot utilize surrogacy as a family building option. Family Source Consultants’ intended parent clients come from all 50 states and internationally. The important factor is that the surrogate must deliver in a state where her legal rights as a parent are protected. Some of the best states for surrogacy law include Illinois, Florida, California, Nevada, Arkansas and Connecticut and some of the less-friendly states include New York, Michigan, Washington and Nebraska. Family Source Consultants is one of North America’s leading surrogacy agencies, with offices in Illinois (Hinsdale and River North in Chicago) and Florida (Cape Coral). When matching and facilitating Gestational Surrogacy and Egg Donation arrangements, Family Source Consultants work with traditional, gay or lesbian couples and individuals of all races, religious and ethnic backgrounds. They provide personalized support throughout the entire process and work with the very best reproductive law attorneys and doctors. What’s unique, is that 75% of its employees have been a surrogate/egg donor/intended parent, including Founders, Staci Swiderski who completed her family through surrogacy and has been an egg donor twice; and Zara Griswold, who built her family via surrogacy using the assistance of an Egg Donor. Packing a bag of labor and birth supplies to bring to the hospital or birth center has become a modern-day ritual of birth preparation. Plan to have your bag packed and stored close to the front door of your home (or in the trunk of your car) several weeks prior to your due date. Your birth plan! Pack several copies. A sign for your door indicating your desire to labor without medication (if this is part of your birth preferences). Hard candy or little lollipops for a quick boost of energy. Honey sticks: These sealed, clear plastic straws hold about a tablespoon of honey and are another excellent source of quick energy. You can often find them at farmer’s markets or health food stores. Clear liquids to drink: Herbal tea, sports drinks, apple juice, or white grape juice. Water bottles for you and your partner. Lip gloss or lip balm (many women find their lips getting dry during labor). Your own nightgown or large, long t-shirt to wear instead of a hospital gown. (Why wear your own gown in the hospital? Many women find this comforting, comfortable, and an excellent reminder of personal autonomy and individuality). Warm socks: Many women’s feet get cold during labor. Toiletry bag with toothpaste, deodorant, etc. Back massager (or, simply, a tennis ball for someone to roll over your back). Flexible straws and a cup to make getting a drink easier. If you are planning to use aromatherapy during labor, pack your special essential oils. A “touchstone” object to hold during labor—this could be a special smooth rock, a little stuffed animal, a piece of jewelry, or other meaningful small object that feels good in your hand. Special birth music on a birth playlist on your phone or MP3 player. Snacks: Things like granola bars, fruit leathers, or other quick snacks that do not have a strong smell are ideal. List of people to call with the happy news. Nursing nightgown (any gown that opens in the front for breastfeeding). Breast pads (disposable or washable cotton). Pads for post-birth bleeding (lochia). Books or other reading materials (either about breastfeeding, baby, or postpartum care, or a favorite hobby or interest). Clothes for baby to wear home. Birth ball (some hospitals have them available to use). Car seat for your newborn properly installed in the backseat of your car. Best wishes for a beautiful birth!